So, you have a business or idea, and have created a website. But, offering the best service, blog and product doesn’t drive visitors to your site. To increase online visitors, you need the techniques to boost website traffic through online marketing. This blog is written for those who have a website up and running. Need help with that? See our upcoming blog Getting Started With Your Website or additional blogs on Getting Started With WordPress. Just getting started? Read our upcoming Where Do I Begin In Starting A Business, where we talk about business naming, logo creation, branding elements and touch on domain name registration and choosing a website host. To begin a successful online marketing campaign, you need to be visible in as many online communities and directories as possible. These are places where your customers look for you and where online marketing can help grow your business. If I have an agency or a brother-in-law, can’t they just do this? While there are plenty of reputable agencies and family members with “experience,” we believe that everything should be in your name and control. Besides, you’ve put a lot of hard work into starting and running your business, so why would you want someone having the ability to take anything away from you? And, it’s easier than it seems! We are going to show you! We hear horror stories daily about people losing access to major online accounts. In some cases, they must start completely over, which loses valuable time or analytic data. Frostbyte Blog can set this up for clients, but we use customer-provided, specific email addresses and passwords. We also work with clients in getting their accounts confirmed. We suggest keeping usernames and passwords in a secure, but easy-to-remember location. This online marketing checklist helps you start building your brand’s online presence with ease. 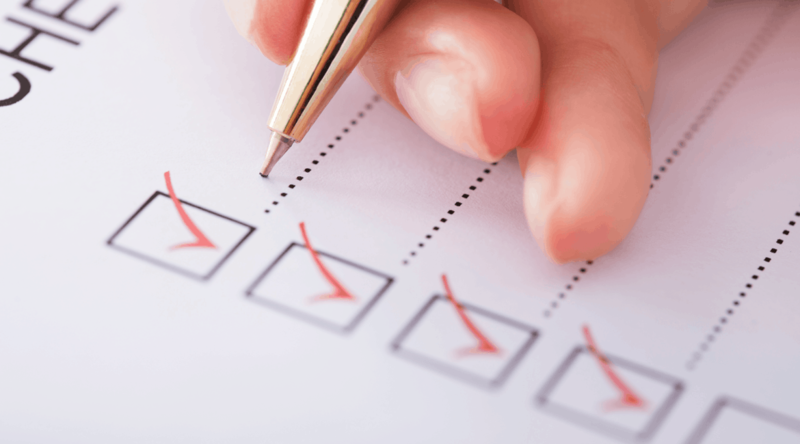 We’ve put together a PDF checklist for you to print out. If some of your online directories are already active, use the checklist to fill in missing gaps! Certain topics listed below will be discussed in more detail in upcoming How-To Blogs. Make sure to subscribe to our Newsletter! Logo: In JPG or PNG format. Logo shapes and sizes are based on the individual sites, details will become available on additional posts and in an upcoming Social Media Graphic Cheat Sheet. If you need help with a logo or design services, check out LogoDesignTeam. 3-5 business photographs – Pictures of your lovely self and rock star staff, interior and exterior of your facility and products. Description – You should write out a 3-4 sentence About Your Business description that you can use, sites will vary in length they will accept but one that will fit across them all will get you started. Search Terms, Keywords and Keyword Phrases – This will vary by listing company, but it’s good to have an idea of words and phrases that customers might use on search engines to find your business, products and services. Demographics – Does your business cater to everyone or does it target a specific group of people? Account setup email account – For website display it is best to use something like info@YourDomain.com, so this would be the email you want to use to setup any account. Account setup password – We recommend using a similar password for all account setups but possibly changing something in the password between the different sites for security best practices. Before you begin, certain services below require an email hosted by Google and/or Microsoft. Basically, it’s registering an account with them to use their different services. This process can be a little confusing, so we’re creating a blog on Registering Your Email Account With Google and Registering Your Email Account With Microsoft. Create a professional email for all online listings to display, see our blog You purchased a domain name for your website, so why are you not using it to its full potential. If you’re operating your business from your home or cell phone, consider creating a Google Voice Number, a free service from Google for your security. This service allows calls to be directed to your home, work and cell phone, at the same time! If my business is solely online such as a blog, do I need to register for everything below? Directories create back-links to your site. Back-links from any authoritative sites such as local business listings are a big part of SEO and your site’s success. Here are some directories to submit your site. Google My Business – Local business listings on Google and Google Maps. Read how on our blog Help Your Business Get Found With Google My Business. Yelp – Apple products rely on Yelp for directions and reviews so it is strongly recommended to have at least a basic listing. You can also sign up for additional Yelp products or advertise on Yelp. We will get more into that in our Yelp Blog. Again make sure to subscribe to our Newsletter for all of these upcoming blogs! These tools are optional. We strongly suggest, at minimum, signing up for Google Analytics. If you have an agency helping, you may easily give them access to your account. Google Analytics – Designed to give you an understanding of where your customers are coming from and which visitors are converting to profit for your company. We will create a brief overview of Google Analytics in an upcoming blog that gives basic information. Submit Your Site to Google – Or, sign up for Google Webmaster Tools below, this is a simpler way to get your site listed on Google if you simply want to get it submitted and don’t want to dive too deep into analytics. Google Webmaster Tools – Designed to help find issues on your website and correct them as they relate to Google search. Submit Your Site to Bing – Or, sign up for Bing Webmaster Tools below, again this is the simpler way. Bing Webmaster Tools – Same as above but for the Bing search network. Google Tag Manager – Tag manager is used for a deeper tracking inside of Google Analytics. You can track link click or mobile phone clicks. You must sign up for Google Analytics and then link your account to Tag Manager. The social media trend isn’t ending anytime soon. And your business should take advantage of it if you want it to grow your online platform. We’ll dive more into the type of content to post and not to post on social media to help grow your business in our upcoming Social Media Blog. Hint about subscribing again. Facebook Page – Create a page for your business, you will have to have a personal account. Instagram Business – Learn how to create an Instagram Business account. Twitter – Twitter does not have a different account between business and personal. We will show you how to setup an account. YouTube – Create a business page and upload a couple videos that you can also tie into other social sites. Pinterest Business – Create a business account, learn how on our Pinterest Blog. There are well over 60 different local major directory listings services besides Google Places and Bing Local. It would take forever to create and fill out account information, let alone manage all of them. Thankfully there is Synup. Synup will create all the accounts and let you manage settings from a central Dashboard. Unlike Synup’s competitors, once you stop paying for their service, all your initial settings remain. This service is annual subscription-based which must be paid upon subscribing. The cost is around $300. There are additional features to choose from that are designed especially for small business, like SEO Keyword tracking and Reputation Management. With Reputation Management you can choose to send your customers quick surveys and respond to online reviews from a single Dashboard. More on their service will follow in an upcoming Synup Blog. Once you have search terms, keywords and keyword phrases to market your product or service, you need to create relevant content and build quality landing pages to ensure Search Engine Optimization to help your site grow in the Organic listings. Organic search traffic should be one of the corner stones of your online marketing campaigns. Content is words, paragraphs and pages of text that are used to describe your business and products and services. If you have a business other than a Blog, you’ll need content on your site. Even bloggers can have an About page that describes their blogs and some history about the author. If you’re a local business, it’s extremely important to use your location as well as cities or towns near you that you might service, such as, best online marketing services in Colorado Springs, Colorado, and proudly serving Denver. Landing pages are pages built on specific sections of your business that explains products or services. You can use these to maximize SEO and to point specific online advertising campaigns at. For instance, if you have an online shop for baby products, you might have a specific page on why a certain baby bottle brand is the best and have a write-up on that product/brand with a link to purchase those bottles from your shop. Then, have a Google ad or Facebook ad that will direct people to that specific page. ConvertWithContent is just one of the many Content Writing Services out there. We have used them with some of our clients because of price, quality and speed. You may google website content service to find one that works for you. Those same keywords you used above to build SEO content for your online marketing and website can now be used to target your customer demographics through Search Engine Marketing (SEM) and Pay-Per-Click (PPC) to get in front of potential customers immediately. You do not have to be the one advertising yourself. Tie your accounts to the services below to just get started. Bing Ads – The same goes for the Bing’s Network as above. Optional: You can further your online marketing impact by signing-up to create accounts on social media advertising, however you will need to get through some advertising setups for ads to get these fully setup. We will blog on how to easily get some simple ads setup in their own upcoming blogs. Thank you for taking the time to read through the online marketing checklist blog, we know it had some length, but it was important to get the checklist down we use for clients setups. We promise to break this down into manageable and much shorter blogs! After all this information getting dumped on your brain, Frostbyte Marketing does not want your head to explode! We also understand some of this can be confusing and complicated and do not want you banging your head against the wall. We can assist with any questions or issues. To contact us for help please email info@frostbytemarketing.com. If there is any topic you wish to have answers on or simply discuss, please email us at blog@frostbytemarketing.com. Kevin Davis is from San Diego and now a transplant in Colorado. He has had a successful marketing, operations and IT career in the automotive vertical for the past 10 years. He has managed all aspects of marketing from traditional, digital and social. If you have the opportunity to meet him in person feel free to give him a high-five if anything has helped you! Marketing tips I need…Thx much! Great info! And exactly what I needed as I am starting my business! Thank you! Thank you for the info. Much needed info. Very informative and well written! I am going to come back to this article for sure. Bookmarked it for future reference. Thanks a lot for sharing! Awesome info! Appreciate the share, man. This is a great tool, checklists make any task easier. Thanks.